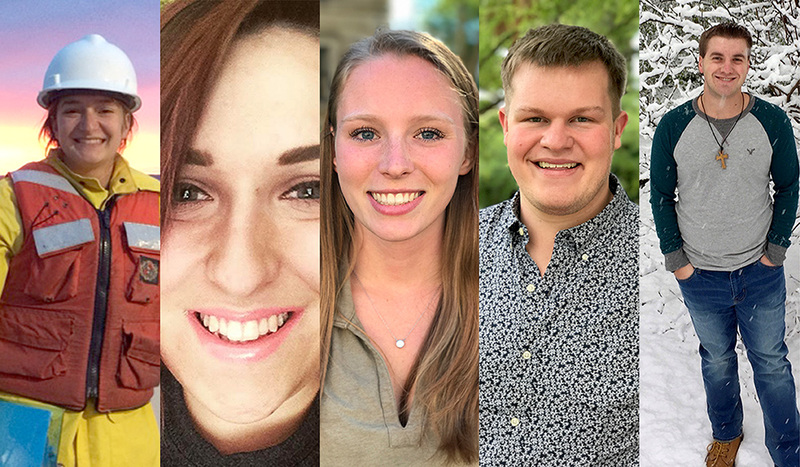 Meet the summer 2017 interns! IISG and Illinois Water Resources Center extend a big welcome to this summer’s interns! The five will be working side-by-side with specialists and scientists on everything from outreach and communication to sample collection and data analysis. Emily Clark is going into her senior year at the College of Charleston in South Carolina. At College of Charleston Clark she is a biology major with minors in environmental and sustainability studies and studio art. 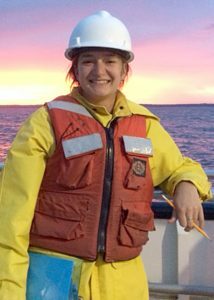 She has strong interests in aquatic ecology and science communication, which is what led her to apply to this internship. As the Illinois-Indiana Great Lakes communication and outreach intern working in the Chicago area, she will be learning about the results of the CSMI field year in Lake Michigan from 2015. She is reading the studies that were done, and will be interviewing scientists on their work. Following this research, Clark will be putting together outreach materials for a variety of managers and policy makers to ensure the changes in the lake are taken into consideration. In addition, she will be participating in this year’s CSMI research cruises on Lake Huron helping to collect contemporary data on the Lake. Lindsey Dice is a junior fisheries and aquatic sciences major and Spanish minor at Purdue University. 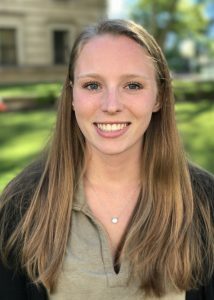 She is a fisheries data analyst with Illinois-Indiana Sea Grant this summer and will be working with charter boats in Lake Michigan to update the Lake Michigan Fish Catch on the IISG website. Dice will also be analyzing data collected from inland glacial lakes. She will be comparing the relationship between water quality and total catchment area. Madeline Henschel be a senior this fall at Loyola University Chicago and is an environmental studies major with a minor in finance. She spent the fall semester of her junior year studying abroad in Australia where she had the opportunity to study environmental management and marine biology. She has also worked with a small neighborhood and business development group in Chicago on a local farmers market that emphasizes the availability of fresh food for shoppers with federal or state nutritional assistance. 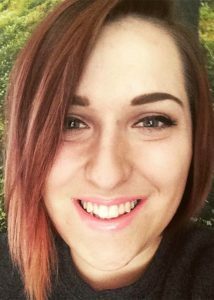 Moving forward, Henschel hopes to focus her career on sustainability and the many forms it takes. This summer as the Sustainable Communities intern she will be contributing to case studies for Enhancing the Value of Public Spaces Program, collaborating with the Lake Michigan Coastal Program to create a coastal flooding tool kit for municipalities, as well as support the Extension program by traveling the state attending meetings and community programs. Cameron Letterly is a summer intern with the Illinois Water Resources Center (IWRC) where he is currently working on several projects, including graphics for the Nutrient Loss Reduction Strategy in coordination with Illinois-Indiana Sea Grant, revitalization of a university rain garden, and work regarding green infrastructure and real estate value. 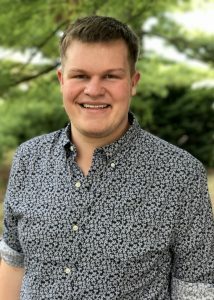 Cameron joins IWRC as a student in the Master of Landscape Architecture program at the University of Illinois at Urbana-Champaign as well as a prospective Illinois MBA candidate. 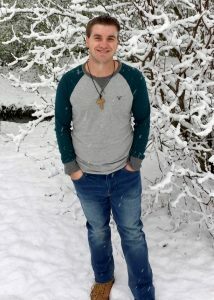 Brandon Stieve is a chemistry major, with an environmental science minor, at Purdue University Northwest and expects to graduate in the spring of 2018, after that he looks to start his career. Stieve’s dream job is to be at an environmental testing corporation, studying water toxicity and use that information to help protect the health and well-being of people. He think the area he wants to specialize in is metal toxicity in waterways. His research project is looking at microplastic concentration in lakes and streams of northwest Indiana. He is working with Kathryn Rowberg, Leslie Dorworth, Sarah Zack, as well as another student, Josh Miranda.